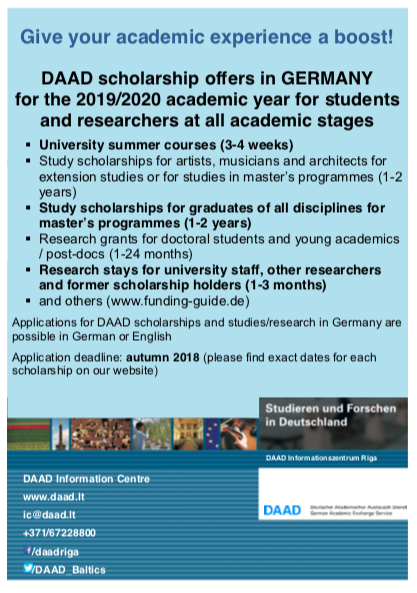 Apply now for the DAAD Scholarships in Germany for the academic year 2019/20! DAAD offers wide range of scholarships for students, graduates, doctoral candidates, scientists and university teachers from Lithuania. 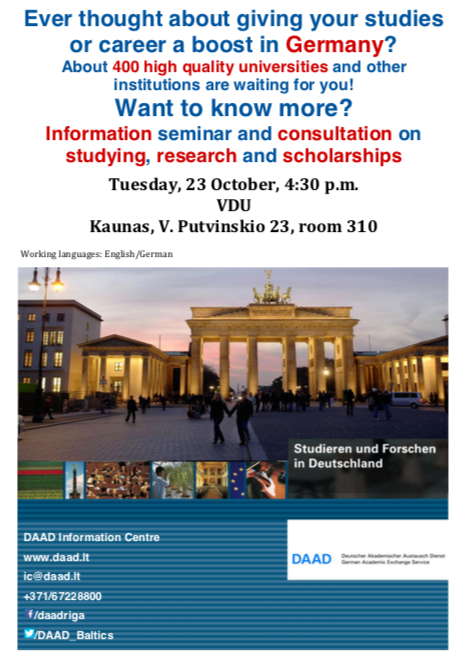 Information session about study and research opportunities in Germany and DAAD scholarship offer. All interested parties are welcome to participate and get practical tips for the application.